"The official sport of the rest of the world"
Soccer is called football just about everywhere but the United States. It’s also followed by rabid fans across the globe. letting people know what they were missing. 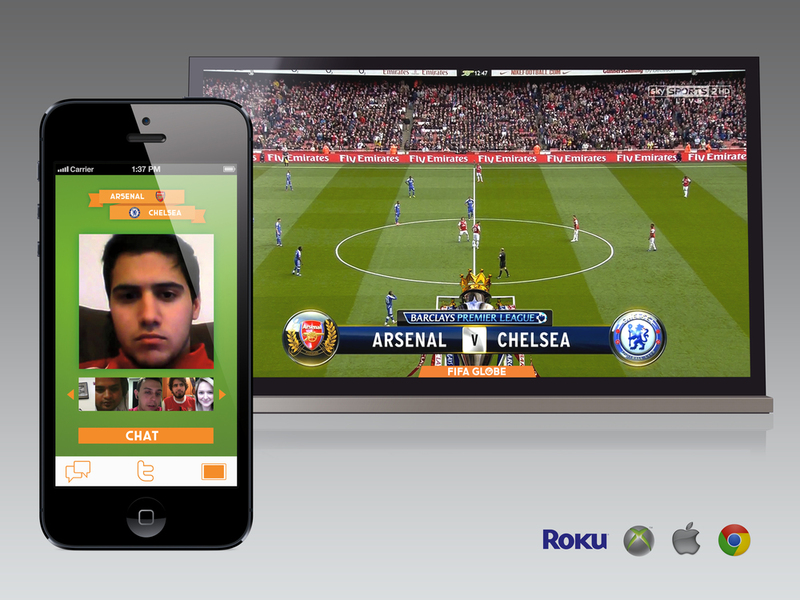 FIFA Globe is streaming media player app that allows you to watch games with people all over the world. When the app is active, its mobile counterpart detects which game you're watching and prompts you to connect. by pressing the TV button in the lower right corner. The app also pulls game-specific hashtags from Twitter and displays real-time dialogue in one screen.